Learn to hear the voice of God. Yep. It’s the simplest, most helpful, least practiced treasure and it will literally rescue you in countless ways. 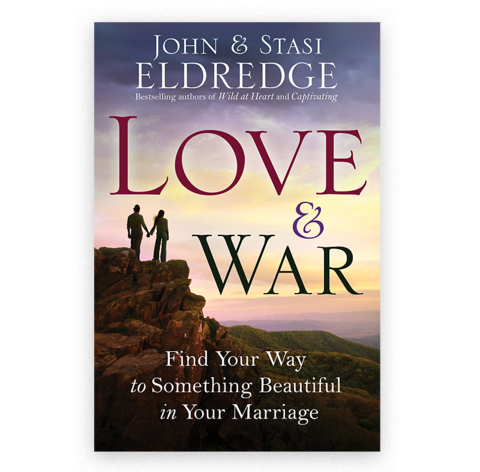 The secret of the Christian life—and Christian marriage—is that you don’t have to figure it out. You don’t have to figure life out, you don’t have to figure each other out, you don’t have to figure parenting out, or money or family. You have a counselor, you have a guide, you have God. What a relief that we don’t have to figure it all out. We get to walk with God. That’s the beauty of Christian spirituality. This isn’t about mastering principles; it’s about an actual relationship with an actual person who happens to be the wisest, kindest, and okay, wildest person you will ever know.